Just getting to where I can climb our of the the bed and look around a little. BUT! they do say “Feed a cold, starve a fever” so…. I say, it looks like something in your cold is the secret to reversing aging! Too bad it couldn’t have stopped at 25-30 years rolled back. If you don’t get well soon, you’ll need to find a womb, and it won’t likely have a view! Fyi: I just got a computer after a year without. GREAT to “see” you again, hope you and all feel great soon. Thanks for my biggest laugh yet, Terry, for February 5, 2013! I can’t fathom how the b&w photo of baby Terry wasn’t there when I first commented. 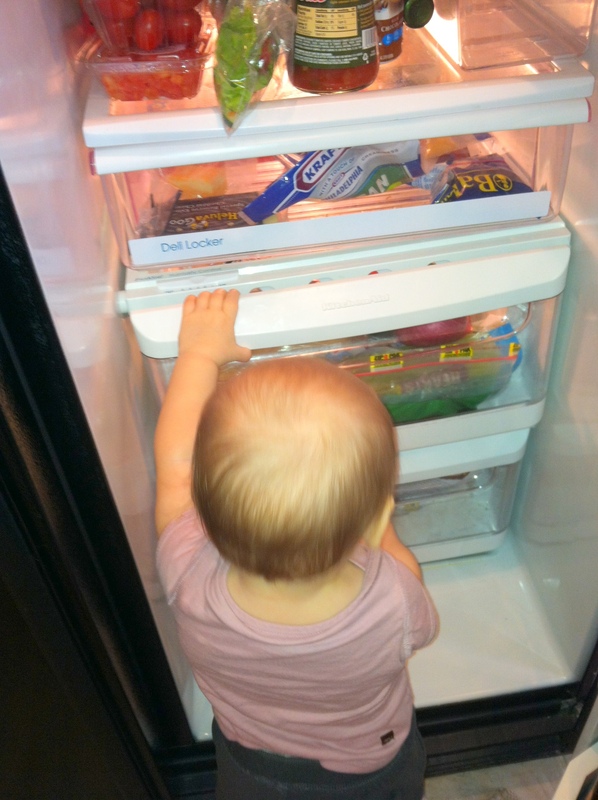 She clearly has more hair than now in the frige pic!